A total swoon-worthy read. As you can guess from the name, this is a re-telling of Cinderella but with twice as many twists and drama. Ella meets Cinder through her blog and their regular banter on books and movies makes them best friends. Neither knows the other’s real name, so Ella has no idea that Cinder Is in fact heart throb and movie star Brian Oliver. The day Cinder asks for Ella’s address to post her a signed first edition of her favourite book, she’s involved in a car accident that costs her mum’s life and leaves her crippled with permanent scars over her body. I’m a sucker for love stories and I really shouldn’t have read this during NaNoWriMo because it’s too addictive to put down. I was waiting to find out when Ella would meet Cinder, what would happen, and so on. Of course there’s a happily ever after but Ella goes through so much and her pain was so real. People could be so cruel, and it was horrible to see how much she had to deal with, but I was so happy for her when she finally gets her fairytale ending. 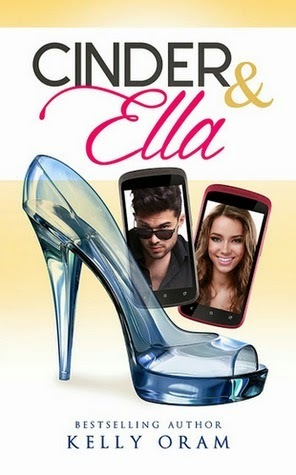 One of the things I really enjoyed was the way the author explained Ella’s flaws. Although she had been through a lot, sometimes she caused the distance and bitterness between herself and others, especially her family. It made the story more realistic to learn that even Ella had a few things to work on. Cinder (Brian) and Ella argue more than anything and their chemistry shone through the book. I liked the introduction of her friend Vivian’s gay fathers too, it was nice to mix it up. In the original story of Cinderella, Cinder’s animal friends help her dream come true, whereas here it was her step sister and friends. Cinder & Ella was an adorable and contemporary retelling of a much-loved classic. EllaTheRealHero: Sure you can, rock star. You wouldn’t know normal if it bit you on your ridiculously good-looking face. Was there anyone in the world that didn’t feel the need to humiliate me?